Some people may scoff at Timex because of their reputation for making ‘low-end’ watches, but this 156 year-old brand has some serious design capabilities backing it. 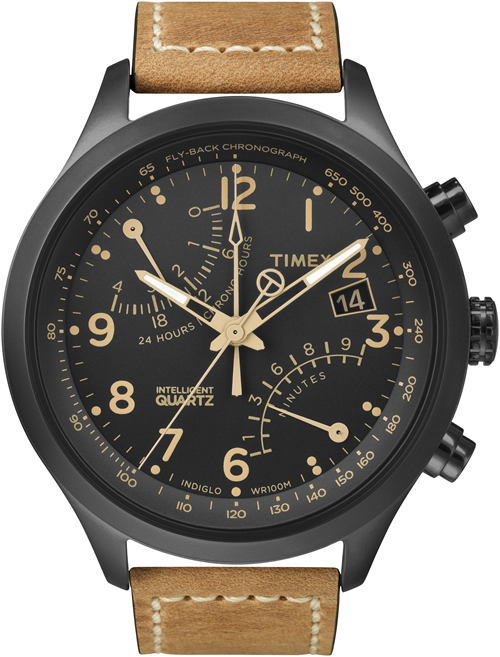 This ‘Intelligent Quartz’ fly-back chronograph is the latest release in the collection, featuring a beautiful black 43mm case with contrasting tan leather strap. Best of all? It’s got luxury watch looks at a Timex price. Only $150 at Nordstrom. This entry was posted in Accessories and tagged chronograph, intelligent quartz, timepiece, timex, Watches. Bookmark the permalink.